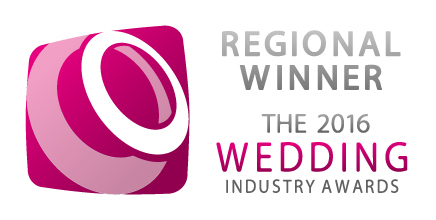 Award winning wedding catering is just a call away..
I’m sure I spotted a bit of sunshine here and there over the last couple of weeks and to me that says one thing – spring is just about here and it won’t be long until wedding season is in full swing! Are you going to some good weddings this year? Maybe you might be planning one of your own and are looking for a few ideas? If that’s the case, it won’t be long before there is plenty of inspiration about! One thing I’ve noticed is a big trend towards marquee weddings and when it comes to marquee caterers Derby has some lovely locations for you to feed your guests! Considering a marquee wedding in Derby? Many people go for far flung countryside locations for their marquee wedding receptions, after all, why not, with so much stunning Derbyshire countryside to enjoy! Some of my favourites include the rustic type affairs which make the most of the beauty of nature, as well as the more formal sit down meal, which sets a stunning contrast if you’re doing it in a field in the middle of nowhere! 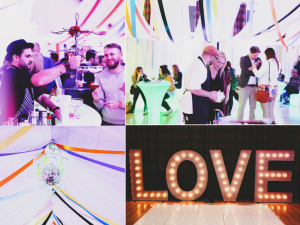 The great thing about marquee catering is that the possibilities are endless when it comes to theme, style, food, drink, decoration and pretty much everything about it. I’ve never been to one marquee wedding reception that is the same as another! If you’re considering a marquee wedding in Derby, there are a few things you should think about though, with regard to catering (on top of the usual menu requirements etc). Bear in mind necessities, such as the fact that the marquee should have access to fresh running water, a good electrical supply and plenty of space in which to prepare the food and feed the guests. Check on size of the marquee, how you will accommodate your guests and take a look at access to the venue too. After that, the world is your oyster! Need marquee catering? Contact Thomas today! Over our many years in wedding and event catering, we’ve had tons of experience in making sure that the event runs swimmingly from start to finish, whatever it is you decide to do with your big day. So if you have some ideas for a marquee wedding, why not give us a shout? We’re always happy to go over plans and provide an extra set of ears to make sure that nothing is forgotten. We also love new challenges, so, whatever catering you would like for your marquee wedding, we’d be more than happy to help get it done. If you need marquee catering, contact Thomas today to find out more! This entry was posted in Wedding Catering on 9th March 2016 by Thomas Bower. Get our monthly E-Paper ram jammed with super tips, ideas and inspiration. Apr 05 So what makes the best first dance wedding song?